The most valuable commodity in the canyon is also the rarest: water. All industries that thrived in the canyon could not do so without a steady stream of water. The Colorado River offered an instant source, but was not easily accessible. There was no immediately foreseeable way to create a reliable source. W.W. Bass was the first to solve the problem. At his camp and along his trails he constructed a system of cisterns to collect rainwater and snowmelt. If any ran low, he could stop at another down the way. 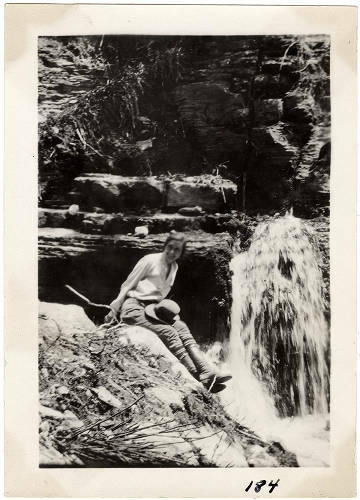 When Roaring Springs was discovered closer to the North Rim, another steady water source was noted. As of today, water is pumped up to the rim for the Grand Canyon Village and for amenities on the north rim through a Transcanyon Pipeline. This pipe directs water from Roaring Springs and delivers it to either rim, running underneath Black’s Bridge. There are also pumps at Indian Gardens that push the water up to the rim. All drinking water is supplied this way. Glen Canyon Dam is a more controversial issue. The dam, when first built, was meant to create a reservoir that could supply water to all states part of the Colorado River Basin. The dam, just a ways upstream from the Grand Canyon boundaries, regulates the normal water flow of the Colorado River. The dam was originally planned in conjunction with two later dams, the Marble and the Bridge Canyon Dams. These never came to fruition but were planned to be within Grand Canyon park boundaries. This series of dams and a few others comprised the Colorado River Storage Project. One proposed dam was to be at Echo Park on the Green River, which fell in the Dinosaur National Park boundaries. Environmentalists were livid and the Sierra Club actively resisted saying it would create a destructive standard for public lands. 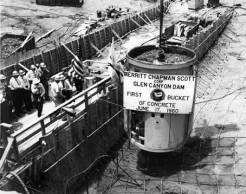 Echo Park’s dam was dropped, but construction at Glen Canyon continued. The Sierra Club turned to protesting the Marble and Bridge Canyon dams, even running a full page ad in the New York Times against it. Public outcry caused the projects to be cancelled. The Sierra Club lost their tax-exempt status, but also doubled their membership totals. There were underlying plans all this time to divert part of the Columbia River to the southwest as part of the Pacific Southwest Water Plan. This had almost completely fallen through at this point. To make up for the loss of power generation from the cancelled dams, the Navajo Generating Station, a coal-run power plant, was erected near Page. 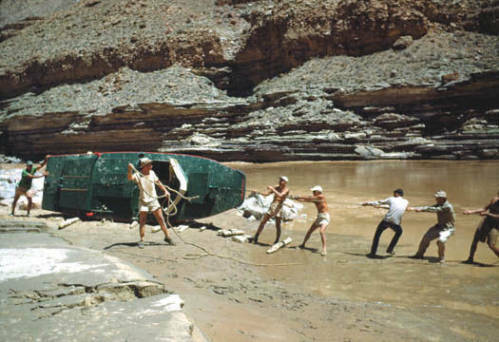 Though water was secured for much of the southwest, the twisting narrows of Glen Canyon have been permanently flooded and riparian ecology in the Grand Canyon has been altered forever. Read more on the ecological impact of Glen Canyon Dam here. Katie Lee was one of the main opponents of the dam. More can be read on her here. 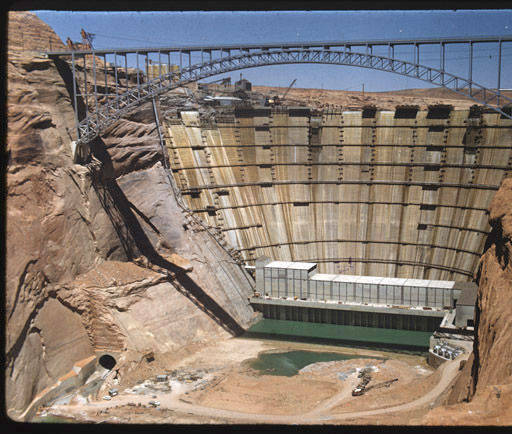 Construction of Glen Canyon Dam [constructed title], 1963.